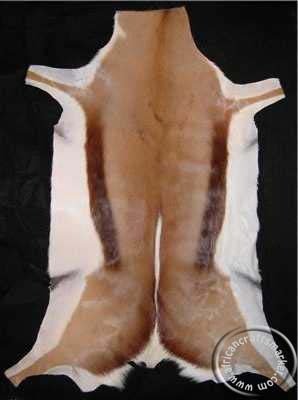 A top quality African A grade Springbok hide that originates from South Africa. 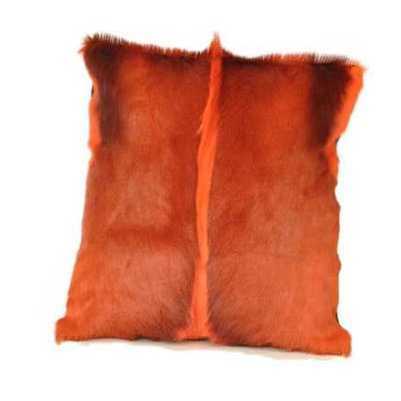 We hand select our Springbok hides so that you receive only top quality graded hides. The Springbok is found mainly in Southern Africa and in South Africa is found in abundance in certain part of the country. African Springbok hides are obtained during the culling season in South Africa and all Springbok hides are CITES approved to ensure that there has been no illegal culling or poaching of these pelts. 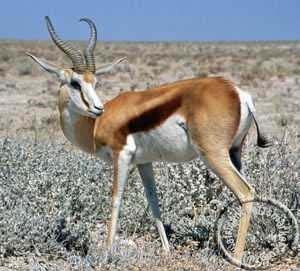 The Springbok is known as Springbok in South Africa and Springbuck internationally. 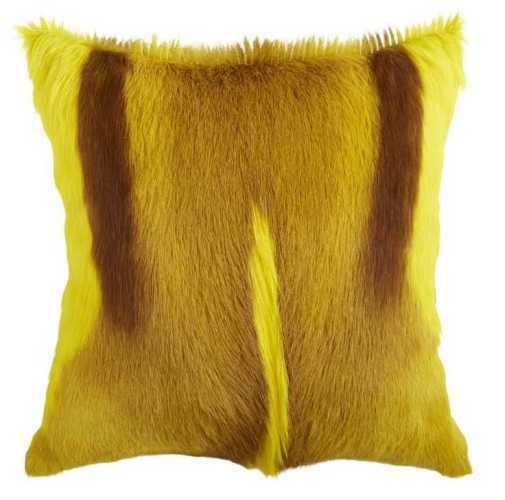 Springbok hides are soft and used allot in clothing designs both traditional and modern. 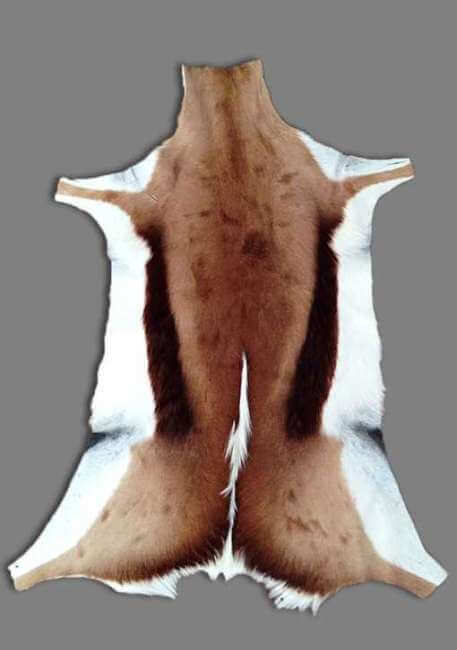 All Springbok hides require permits for export purposes. The price of the permit is included in the shipping cost. All sizes listed are approximate. 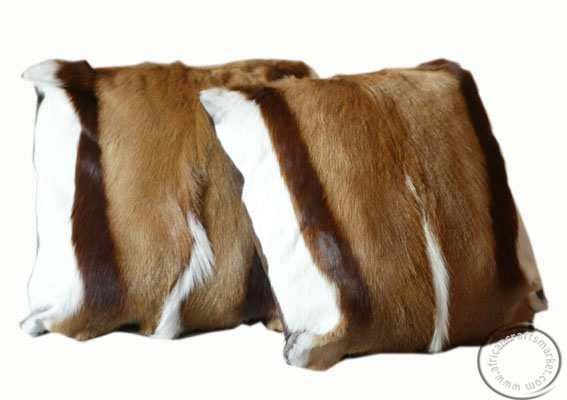 The Springbok hide you purchase Springbok hide cushions and receive may differ just slightly in size, look, and/or pattern from the Springbok hide shown in the picture because of the nature Springbok hide is unique View our African Game skins gallery for more African skins or e-mails us if you are looking for a particular skin. 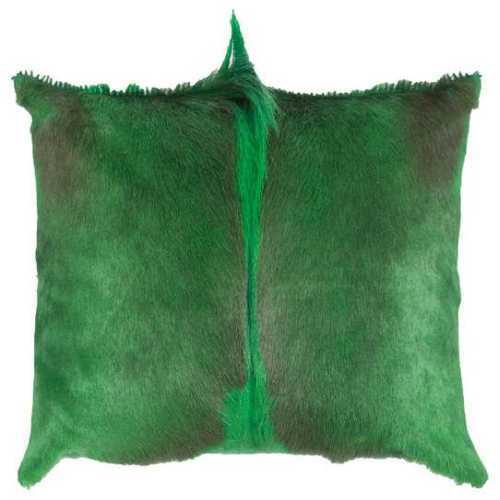 We also have cushions made of Springbok hide and other game species. 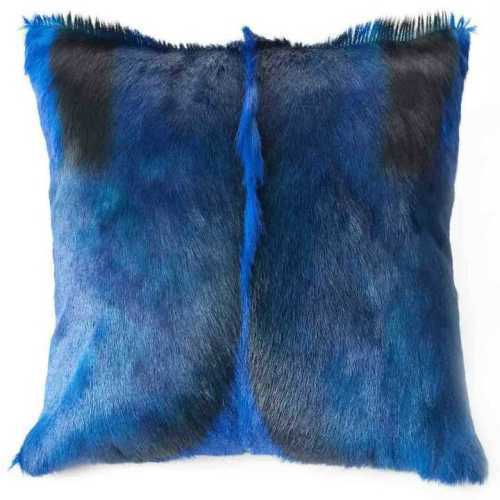 If you are looking for other African game skin cushions return to our main African cushion page. The Springbok is one of South Africa’s most successful game farm animals to breed. 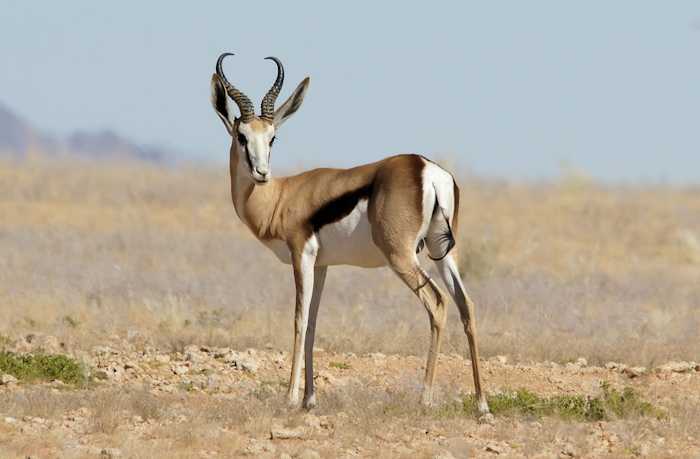 There are some Springbok that are totally black or totally white. The value of these animals is quite substantial in the private market for trophy hunting. 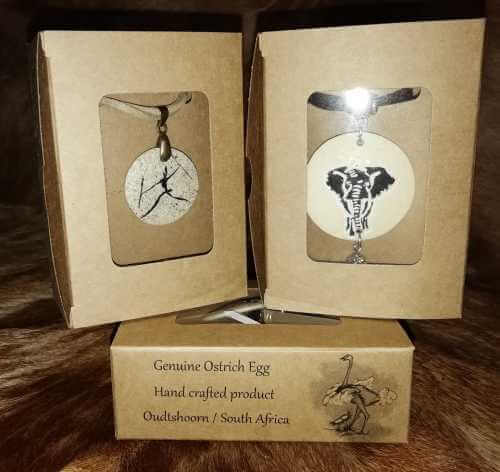 Traditionally Springbok is one of the top 5 most favorite antelope species hunted by local hunters and is sought after for the tender and tasteful meat as well as for their biltong. 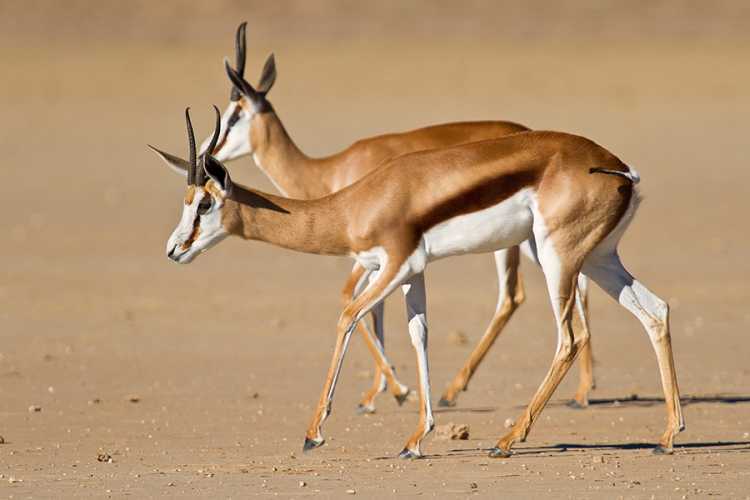 When disturbed, Springbok commence running and bound and leap (repeatedly) into the air with stiff extended legs, with the males or rams raising the hairs of the dorsal crest extending from the back to the tail (the rams). These bounds may reach 2 to 3 meters and this leaping is known as “pronking”. This “pronking” could also be seen when the rams are rutting and defending their territories and female herds against other rams with the intention to impress the females or ewes. 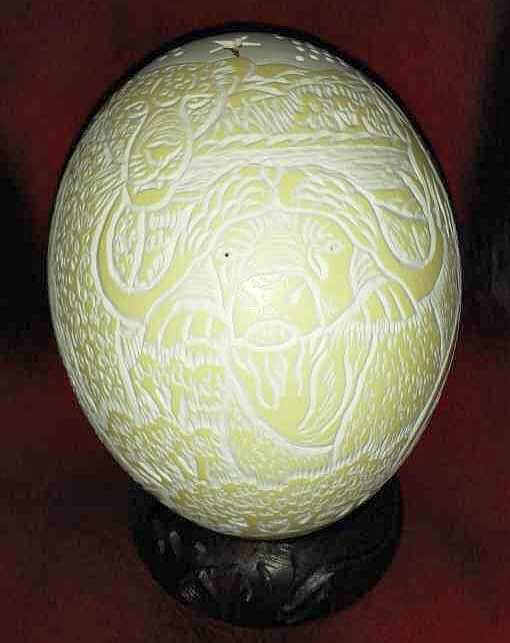 Since the turn of the last century, the Springbok has been and still is the national emblem of the South African Rugby team. The King Protea (South Africa’s National Flower) has been added to the badge during the 1990’s. Diet: Herbivores , Grasses, Leaves.